Look, I hate to rub things in. OK, that’s a lie. I still want to rub rock salt on the festering wound of the 2011 Jets season. I’m watching Dustin Keller on SportsCenter and it’s amazing people are still talking about the Jets. Their season ended a month ago and somehow it was so bad, it’s still in the news. 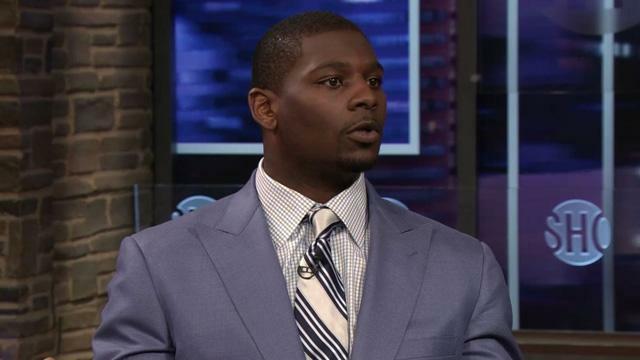 LaDainian Tomlinson is going on Inside the NFL and airing his dirty laundry. Revis Island is talking to the press about how toxic the locker room was and how nobody did anything to stop it. More and more unnamed sources and former players are coming out and saying that Mark Sanchez has been babied by the organization and Peyton Manning should be pursued as hard as possible. Former Jet and current Giant Steve Weatherford is getting the last laugh for being criticized and unceremoniously dumped last year after a good season. The list goes on and on. The Jets have a real problem now. Who is going to want to come aboard this ship? The whole Rex schtick was fun at first but when a guy like him loses, eventually the inmates start running the asylum. You know things are bad when even he is admitting that he didn’t have the pulse of the team. Unfortunately, there’s no way he can magically become a hardass overnight. Saying that you won’t have captains anymore doesn’t accomplish anything. With the lack of leadership last year, it’s a wonder they even had captains. The real solution is to dump the players that caused trouble and try to start relatively fresh. Of course, the team has already announced that both Santonio Holmes and Sanchez are coming back. The Jets always wanted to be the talk of the town. Now, even with the Giants in the Super Bowl, they’re still managing to make noise.